Why is there all this fuss about glaucoma and glaucoma prevention? Simple. This is because glaucoma is the second commonest cause of blindness worldwide, and affects at least 2% of the population. It is a major eye health issue, but the worrying thing is that most sufferers do not know that they have this condition. 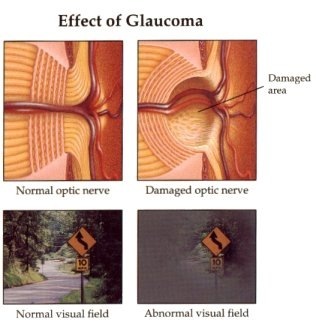 Glaucoma results in progressive damage to the optic nerve due to high pressure in the eye (intraocular pressure). This in turn, causes progressive visual field loss and if untreated, eventual blindness. Unfortunately, any vision lost from the optic nerve damage cannot be recovered. Lowering the intraocular pressure is the only treatment option available currently. This can be achieved through eye drops, laser or surgery. 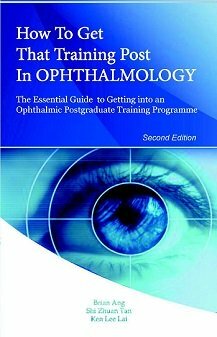 However, effective lowering of the intraocular pressure is only able to prevent further deterioration and preserve any remaining sight. The key issue for glaucoma prevention therefore is early detection and early treatment before significant sight loss occurs. So what glaucoma prevention steps can you take to protect your eyes? After all, no one wants to lose vision if he or she can help it. Intraocular pressure remains the major risk factor that can be treated. However, other risk factors such as age, family history, genes and racial origin cannot be modified. Nevertheless, you may be able to protect yourself from developing glaucoma-related problems if you follow these 5 golden rules. Smoking is a significant risk factor for many eye and general health problems. Eye conditions that can worsen with cigarette smoking include cataract, age-related macular degeneration and retinal vein occlusions. Nicotine is a vasoconstrictor which constricts the blood vessels. This could potentially slow down aqueous outflow from the anterior chamber drainage angle and also restrict the amount of blood flow to the optic nerve. In addition, intraocular pressure has been shown to increase by over 5 mmHg after cigarette smoking. Cigarette smoke also contains many harmful chemicals, such as tobacco-specific N-nitrosamines (TSNAs), benzene, pesticides, arsenic, cadmium, cyanide, and many many more. These toxins circulate all around the body and cause oxidative damage to the optic nerve and other parts of the eye. All these are likely to contribute to glaucoma damage. So do yourself a favour and stop smoking! If you are unable to stop, then at least cut down on the number of cigarettes you smoke so that you can reduce the amount of poison in your eyes and body. The results from some research studies suggest that if you have open angle glaucoma and you perform aerobic exercise 3 times a week for at least 20 minutes each time, you may be able to lower your eye pressure by around 20% on average. This pressure lowering effect disappears if you stop your exercise for 2 weeks or more. More recently, research from India has shown that by observing mindfulness meditation for 1 hour every day for 3 weeks, the eye pressure can be reduced by an additional 25%. Note that not every type of exercise is good. In those with pigment dispersion, vigorous high-impact exercises may cause more pigment release from the iris, which clogs up the trabecular meshwork even more and increases the eye pressure. 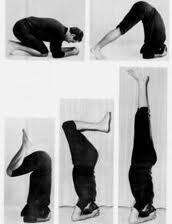 In addition, exercises involving head-down or inverted positions (example on the right) are likely to raise the eye pressure and may additionally damage the optic nerve. However, there is no evidence to confirm this currently. Oxidative and free radical damage affects all structures in the eye including the optic nerve. To combat the effect of these free radicals, you should ensure that your diet is full of antioxidants, such as vitamin A (carrots, apricots, papayas), vitamin C (berries, citrus fruits, tomatoes), vitamin E (avocados, green leafy vegetables, fish) and zinc (whole bran, eggs, peanuts). These will help to protect your eyes in general although they have not been shown to be specifically beneficial in glaucoma. More recently, vitamin B3 (nicotinamide) has been shown in animal models to be protective from glaucoma damage. Whether the same effect is seen in humans is unclear. Patient trials are currently underway in Melbourne. If you wish to take vitamin B3 for glaucoma, the dose should be between 1000mg to 1500mg daily. Try to reduce the amount of coffee that you consume. Drinking caffeine can raise your intraocular pressure for up to 3 hours, especially when drunk quickly over a short period of time. In addition, try to avoid drinking huge amounts of fluids within a short time (around half an hour or so) - doing this can raise your eye pressure. Of course you should drink plenty of fluids daily, even if you have glaucoma, but space your drinks out so your intake is in small amounts over the course of a day. 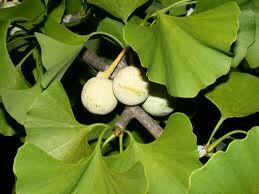 Of the natural health supplements, ginkgo biloba has been suggested as a protective agent, especially for low pressure glaucoma. It is able to increase blood flow to the optic nerve without altering overall blood pressure, heart rate or eye pressure. This is in addition to its antioxidant and neuroprotective properties. Another over-the-counter supplement that may be beneficial for glaucoma is citicoline. It has been used for various neurological conditions, including Alzheimer's disease and other types of dementia, age-related memory loss, Parkinson's disease, and attention deficit-hyperactive disorder (ADHD). Research from Italy reported significant slowing of glaucoma progression with 500mg citicoline per day. Ultraviolet light is thought to contribute to damage to the eye through heat damage and oxygen free radicals but is unlikely to pose any direct effect on the optic nerve. Wearing 100% ultraviolet blocking sunglasses therefore probably does not protect your eyes from optic nerve damage. However, glaucoma can cause your eyes to become sensitive to light and glare. The light sensitivity may be worsened with the use of eye drops. To alleviate these symptoms, take measures to reduce the amount of light entering your eyes such as wearing a big hat and 100% ultraviolet blocking sunglasses when outside. Ultimately, this is perhaps the single most important thing that you can do for your eyes. Because the damage to your optic nerve tends to occur slowly (but surely), you are unlikely to notice the progressive visual field loss that occurs. You are able to compensate and cope with your gradually worsening sight until one day you realise that your peripheral vision is actually pretty bad. By this stage, the damage to your optic nerve would have been quite advanced and no amount of treatment will able to help you regain the sight you have lost. It is too late by the time your visual loss becomes advanced (right). Ideally your glaucoma will be picked up at an earlier stage (middle) so that treatment can be started and further damage avoided. The only way to achieve this is by getting your eyes tested regularly by your optometrist or ophthalmologist. Your eyes can be monitored by your optometrist or your ophthalmologist. Ideally, you should be seen every 1 to 2 years, or even more frequently if you have the risk factors for glaucoma. Monitoring visits should include intraocular pressure measurements, optic disc evaluation, visual field testing and imaging scans if appropriate. Remember that the aim of monitoring is to pick up early signs of glaucoma damage before sight loss occurs, and then starting the intraocular pressure lowering treatment to prevent further damage and visual loss. Sir, The fluid that you have mentioned, I want to ask you is it the same fluid as tears in our eyes or some other fluid?